Quookie! I made this for you! 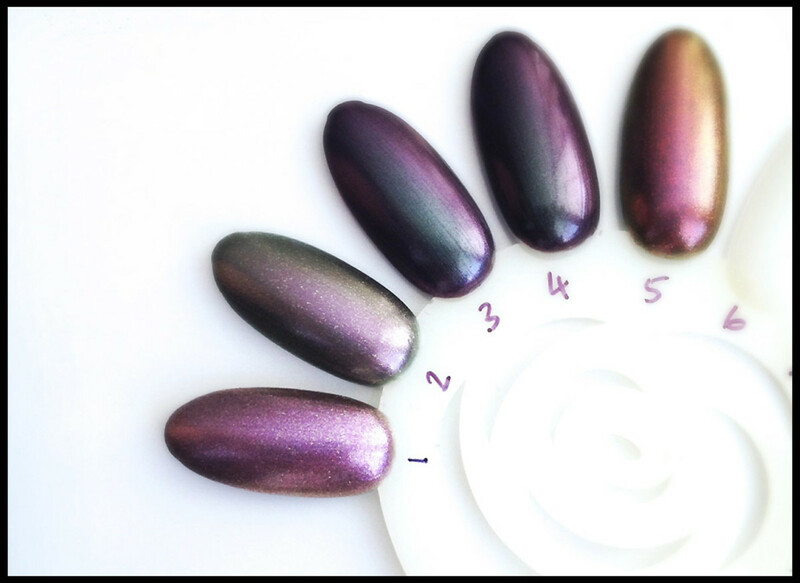 And for everyone else who wonders how closely the Brazil by OPI Next Stop the Bikini Zone (aka OPI Next Stop... the Bikini Zone) resembles other recent notable OPI duochromes. 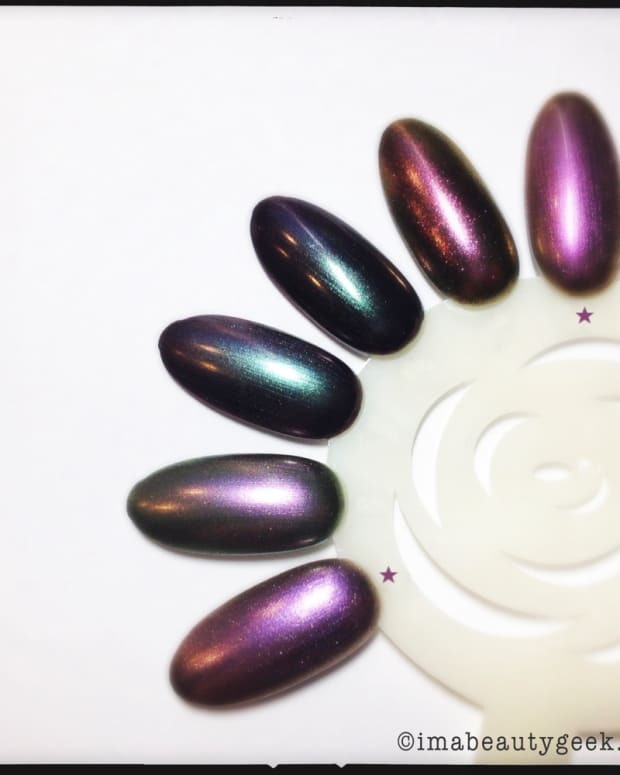 When I started playing with the OPI Brazil 2014 spring/summer collection last week, I went straight for Next Stop the Bikini Zone because we all know I’m kinda nuts for duochromes. 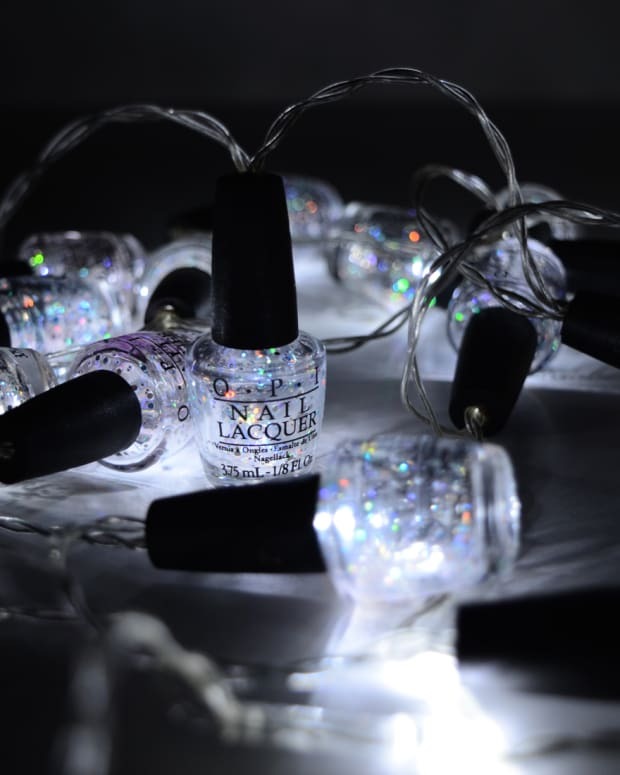 Before I went digging through my collection of OPI, I thought it was pretty close to OPI Not Like the Movies. 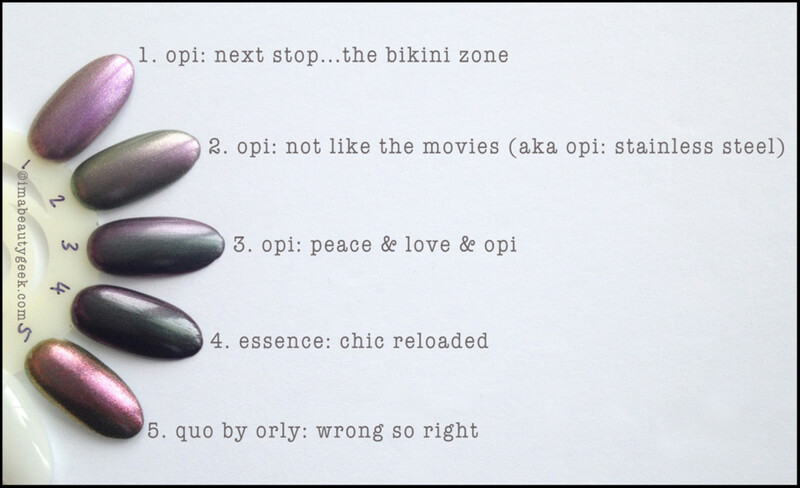 Then, after I posted the full lineup of OPI Brazil swatches, Quookie asked if maybe Next Stop the Bikini Zone was similar to Peace & Love & OPI. 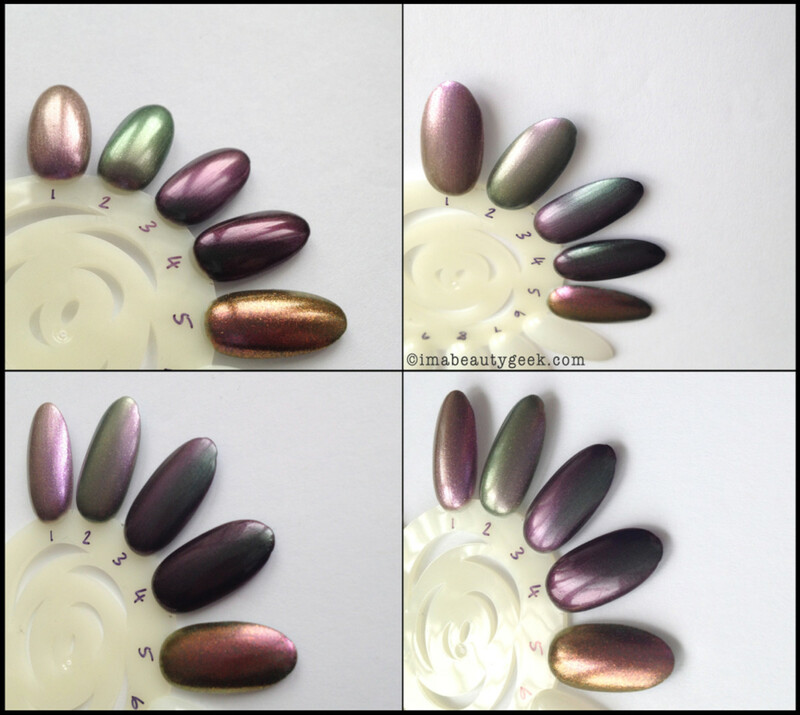 As you can see, Quookie, OPI Next Stop the Bikini Zone (#1) and Peace & Love & OPI (#3) are similar in that they’re both by OPI and they’re both duochromes. 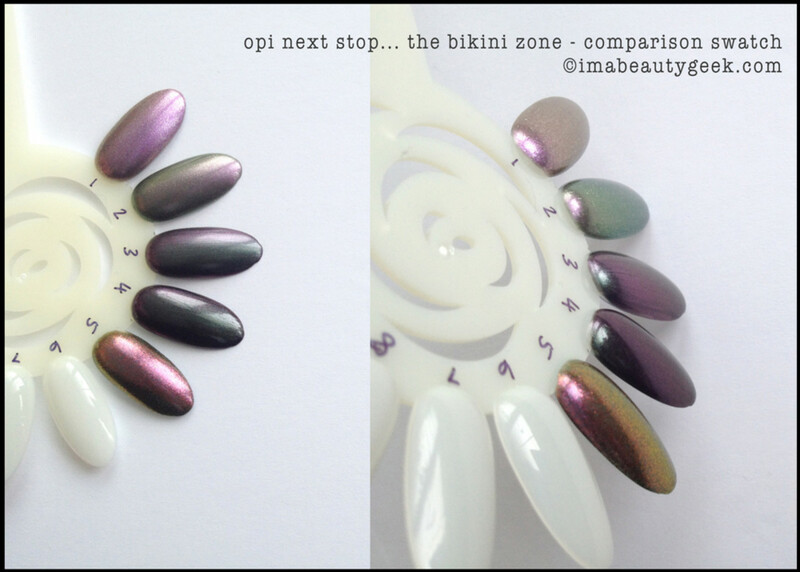 OPI Next Stop the Bikini Zone is actually a little closer to OPI Not Like the Movies (#2), but still different enough that you might need them both. Both + Peace & Love & OPI. Above: please enjoy more light/colour shifts.